Tongling is a prefecture-level city in southern Anhui province, China. A river port along the Yangtze River, Tongling borders Chaohu to the north, Wuhu to the east, Chizhou to the southwest and Anqing to the west. The asteroid 12418 Tongling was named after the city. Tongling has been famous as a beautiful mountain city since its origins in the Han dynasty over 1500 years ago. Owing to its copper and tin deposits, it was an important center in the past for bronze production. The scale of industrial activity gradually increased through the Ming (1368-1644) and Qing (1644-1911) dynasties, the Japanese occupation of 1938-45, and especially under the Communist government since 1949. Today the city's industrial base still revolves around the several nearby copper mines and copper processing operations. The local mineral resources also include : iron, coal, gold, silver, tin, Iron sulfide, plus more than twenty other rare minerals associated with them such as nickel, cadmium, gallium, molybdenum, germanium and selenium. Other important industries include chemical works, textiles, building materials, electronics, machinery and food processing. Long a hub of water transportation, in 1995 Tongling became the site of Anhui Province's first highway bridge spanning the Yangtze River. Although Tongling City is mostly mountainous, the surrounding flatlands are rich agricultural regions producing rice, wheat, cotton, beans, garlic , herbal medicines and ginger. Large amounts of fish are also harvested in the region. Tongling is the center for conservation efforts to preserve the last remaining Yangtze freshwater dolphins. Two semi-natural reserves have been established in the Tongling area, in the Tongling and Shishou oxbow lakes, but as yet no dolphins have been successfully captured and moved from the river into the lakes. Tongling is known as one of the the cradles of Chinese bronze (bronze is pronounced "qing tong" in Chinese) culture. As early as the Zhou Dynasty, the local people had refine and process bronze. And by the early years of the Tang Dynasty, the local bronze industry reached its Golden Age . Today, many historical sites are found in Tongling, they record the bronze culture of the Zhou, Han and Tang dynasties. The famous poets of Tang and Song dynasties, Li Bai (700 - 762, aka Li Po), Wang An Shi (1021 - 1086) and Su Dong Po (1037 - 1101) once described the spectacular scenes that Tongling people how to smelt and process bronze. Dear Connie Majka, we dont' have any volunteer tours to work in orphanages at present but we can organize the trip in Tong Ling area. Our travel consultants will contact you later, please don't forget to check your email-box. Thanks. Hello, 1. 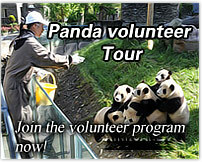 Do you have any volunteer tours to work in orphanages? My daughter was adopted from Tong Ling. 2. 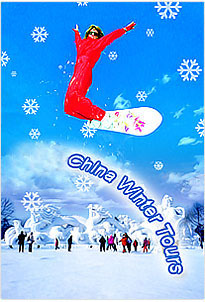 Do you have any tours of Tong Ling area? WE arrive in Heifei on May 13th.